I’m going wild with this Friday post! 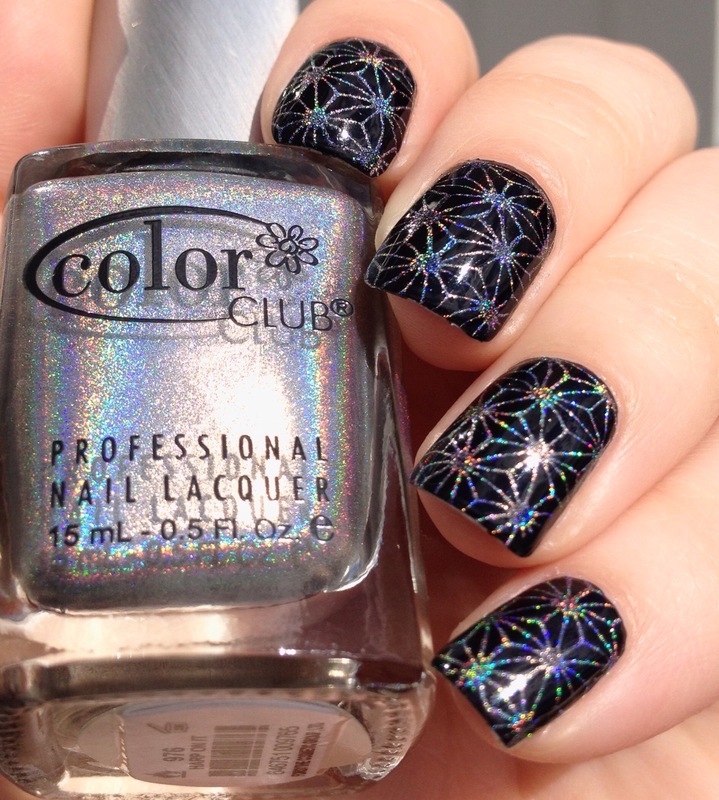 Prepare yourself for a manicure inspired by geodesic domes! What’re those, you ask? 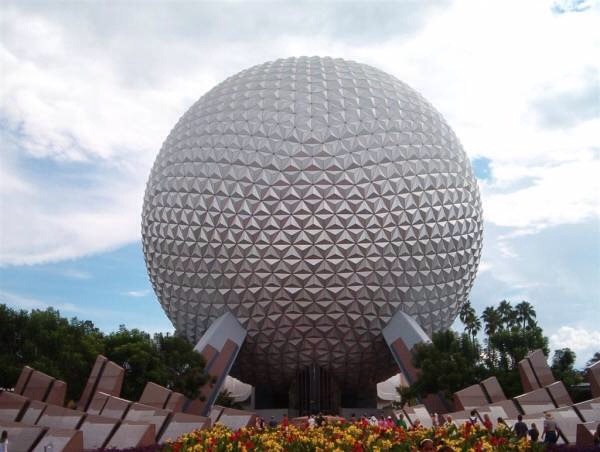 It’s a big ole’ sphere created by the combination of a bunch of smaller triangles (or other polygons)- think along the lines of the giant Epcot sphere at Disney World! 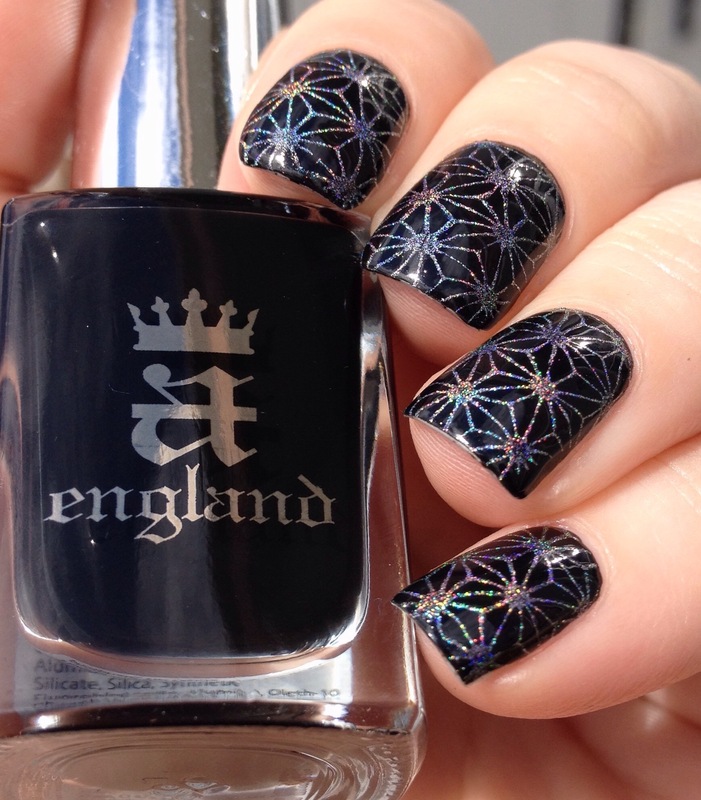 I created this mani using a base of A England’s black creme “Camelot.” It is wonderfully opaque, but has a super shiny, squishy quality that gives it an almost crelly feel. If you only own one black (as I do), I suggest this one. From the base, I then stamped on the geometric pattern using MoYou London’s Suki #4 plate and Color Club’s “Harp on It,” a silvery holographic polish. 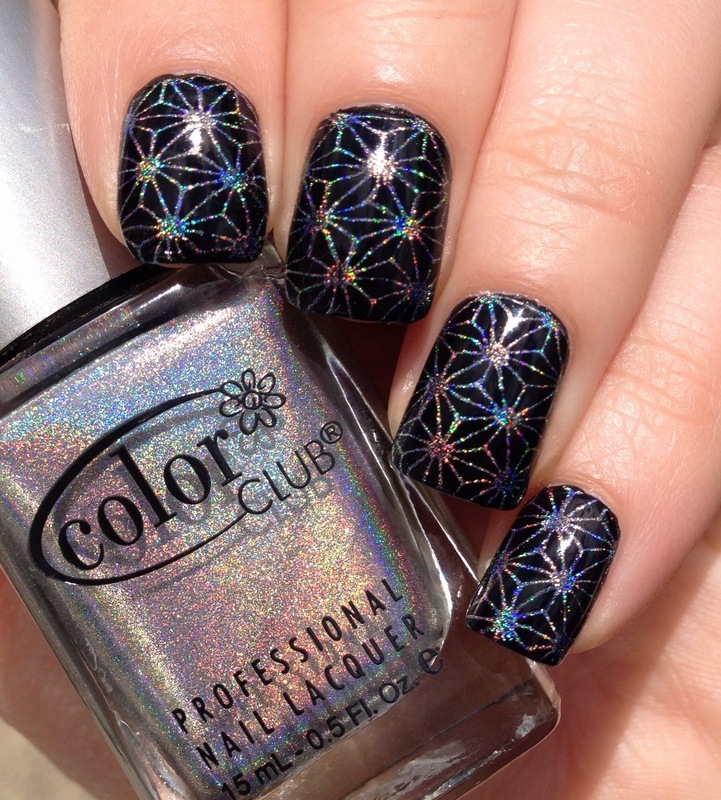 Harp on It, and other colors from the Color Club Halo Hues Collection, are super popular for stamping (also just because they’re a great affordable holographic option). 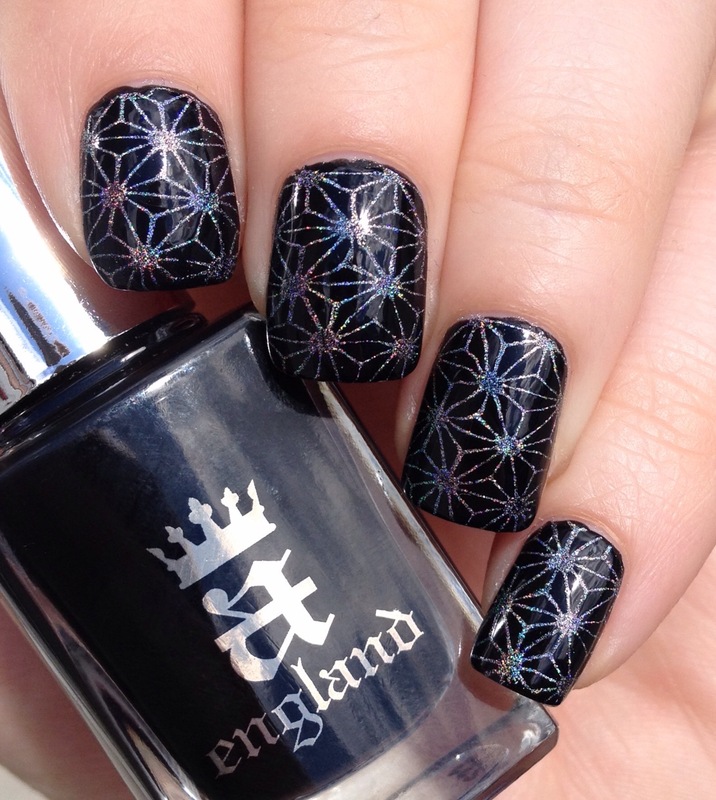 I hardly ever wear black polish, but I really enjoyed wearing this mani around. I’m pretty sure this isn’t what the stamping plate designers had in mind when they made this design, but I think it turned out interesting nonetheless. Plus, I got to talk about geodesic domes all week!